Experience richer, more complete hearing! If you are looking for a hearing aid that offers a full spectrum of sound, the Earlens Hearing Aid can activate your natural hearing system by using light. With its broad audible frequency range, you can now experience crisp highs and full lows by using the world’s only light-driven hearing aid. Dr. Neil Sperling and the team at the New York Hearing Center want what’s best for you and your ears, which is why we proudly offer this hearing aid to our patients. While other conventional hearing aids use a speaker to amplify sounds, the Earlens Hearing Aid goes about it in an entirely new way. 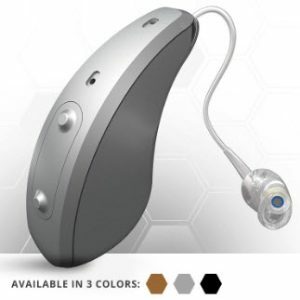 This hearing aid features a behind-the-ear processor that receives the sound and transfers it to the in-ear light tip. The in-ear light tip then converts sound to light, which is then transferred to the lens, activating your natural hearing system. Wondering what Earlens users are saying about their experience with the Earlens Hearing Aid? Check it out for yourself! Wondering if the Earlens Light-Driven Hearing Aid is the right choice for you? Give us a call today to learn more or schedule a consultation. We have multiple offices located in NYC including Midtown Manhattan, the Upper West Side, and in Staten Island. Dr. Pincus earned his medical degree from the University of Michigan Medical School. He completed his training at New York’s Lenox Hill Hospital and Mount Sinai Medical Center. In addition to his private practice work, Dr. Pincus is an Associate Professor in the Department of Otolaryngology at New York Medical College and a Lecturer at Mount Sinai School of Medicine. Earlier in his career, Dr. Pincus was Vice Chairman at New York Medical College, Director of the Department of Otolaryngology at New York’s Lincoln Medical and Mental Health Center, and Director of the Head and Neck Service at the New York Eye and Ear Infirmary. He has extensive teaching experience. Dr. Pincus is a Fellow in the American College of Surgeons, the American Academy of Facial Plastic and Reconstructive Surgery, The American Rhinological Society, and the American Society for Head and Neck Surgery, as well as a Diplomate with the American Academy of Otolaryngology – Head and Neck Surgery. He is currently an active member in numerous professional associations, including the American Broncho-esophagologic Association; Physicians for Social Responsibility; Society for Ear, Nose and Throat Advances in Children; and Association of Physicians in AIDS Medicine. Dr. Pincus has authored more than 40 articles and book chapters in the field of otolaryngology and shared his insights in presentations before dozens of prestigious professional organizations and medical staffs. 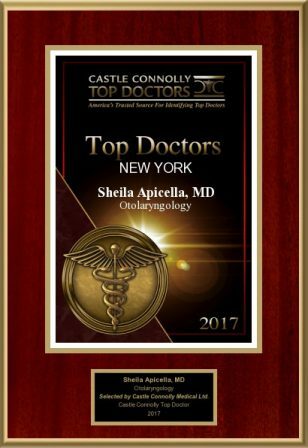 He has frequently been recognized as one of metro New York’s leading otolaryngologists and sinus specialists by New York magazine, Castle Connolly Medical LTD, and Super Doctors. 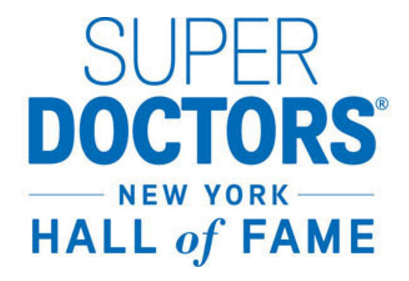 Dr. Pincus has been honored with induction into the Super Doctors Hall of Fame after having been chosen as a Super Doctor for ten straight years. 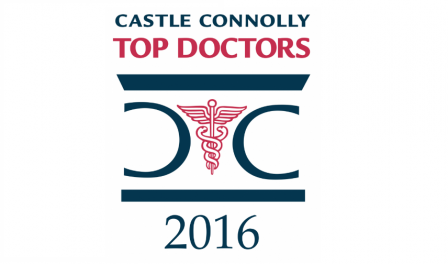 Dr. Pincus has once again been named a New York Super Doctor for 2016. Never have I been to a more compassionate doctor in my life. Although he is a surgeon, and a EXCELLENT one at that- his demeanor is anything but that of a surgeon’s. He spends more time with me in office visits than my primary care doctor ever has! Great bed side manner. He seemed completely dedicated to correcting my many ENT problems- and he has! Dr. Robert Pincus has been my doctor for many years now. I’ve recommended him to family, friends and neighbors without reservation and will continue to do so. Dr. Pincus is personable, loves sharing his extensive knowledge and expertise, and gently but firmly encourages his vast number of patients to take responsibility for their health and well~being. He practices what he preaches and is the best advertisement for his simple and effective preventative methods. He looks so healthy and happy to be alive! 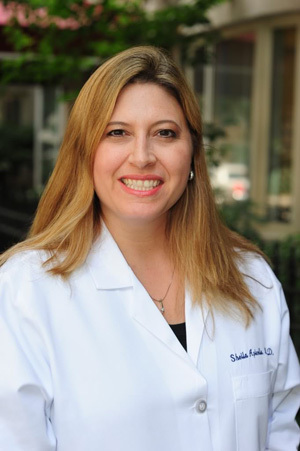 Dr. Pincus is compassionate, patient, caring, a great listener and sharer. He’s a fascinating man, whip~smart, knows his stuff… a world~renowned, top~rated physician. His staff is professional, efficient, effective and all very courteous, helpful and respectful. When I recently experienced severe financial hardship, he worked with me on fees not covered by insurance~such a rare, generous physician! God bless Dr. Pincus! He’s one of the very best there is! Otosclerosis is a condition of the ear caused when an abnormal growth surrounds the tiny vibrating bones of the middle ear, resulting in conductive hearing loss. It typically affects the Stapes bone which, when immobilized, cannot properly conduct sound energy toward the inner ear. Fortunately, there are multiple Otosclerosis treatment options. Approximately 60 percent of otosclerosis cases are hereditary. While it is seen across ethnic groups, it is most common in Caucasians between 20 and 45 years of age. Women are twice as likely to be affected as men and, once affected, often experience accelerated hearing loss during pregnancy. Hearing loss is the primary symptom of otosclerosis. The hearing loss may be in one or both ears. It usually begins with mild loss, but often increases over time. Patients with otosclerosis may also suffer tinnitus, a ringing or rushing sound in the affected ear. Balance problems such as dizziness, vertigo, and unsteadiness may also occur, but are far less common. Patients with possible otosclerosis are first given a hearing test. However, as hearing loss can be caused by a number of disorders, a CT scan may sometimes be recommended. The good news is that conductive hearing loss due to otosclerosis is reversible, in most cases, with a surgical procedure known as a laser stapedotomy. Part of the Stapes is removed and replaced with a prosthesis that, once in place, allows the bones of the middle ear to move properly, thus restoring conductive function to the ear. At NYOG, Dr. Sperling uses a specialized laser stapedotomy technique that includes vein grafting in order to eliminate post-operative vertigo, which is common after more traditional stapedectomy procedures. This technique is 90 percent to 95 percent effective at restoring the ability to hear, often immediately after surgery. As an alternative to stapedectomy (surgery)as an Otosclerosis treatment , traditional hearing aids can correct the hearing loss associated with otosclerosis. In some cases, a sodium fluoride treatment may also be prescribed to slow the progression of the disease. Life Changing! Due to Otosclerosis I have worn hearing aids over 15 years. During that time I went from a mild loss to a severe loss. In June, 2015 Dr. Sperling performed a stapedoctomy on my left ear. The results are amazing having gotten back about 90% of my hearing. Dr, Sperling’s skill as a surgeon are matched by his compassion and reassuring manner. Although he’s done this procedure countless times, I never felt like just a number. The initial consultation, sitting with me a few minutes before the operation, and personally calling me the day after all proved his dedication and care for his patients. I highly recommend Dr, Sperling and his team and look forward to having the same experience with my right ear in September. Dr. Sperling performed a Stapedoctomy to treat my Otosclerosis. He made me feel at ease since my first consultation with him. He explained my condition thoroughly and even showed me a power point presentation. On the day of the surgery he met with me right before the surgery to see if I had any questions and just sat by my side for a few minutes, which was very comforting. Once the Surgery was completed he took the time to go to a different floor to find my wife to let her know that everything went well. The day after the surgery he called me himself to see how I was feeling. On top of this great experience I was able to hear again!!! Dr Lane Krevitt is a board certified Otolaryngologist – Head and Neck Surgeon, who specializes in Head and Neck Oncology Surgery, including Thyroid and Parathyroid Surgery and Endoscopic Sinus Surgery. He is the director of Head & Neck Surgery, Thyroid and Parathyroid disease at the New York Otolaryngology Group with two locations in NYC and one location on Staten Island, NY. He received his undergraduate degree at Tufts University outside of Boston and his medical degree from Hahnemann University School of Medicine in Philadelphia- Drexel University Medical School. He completed his Internship in General Surgery and Residency training in Otolaryngology – Head and Neck Surgery at Albert Einstein College of Medicine/Montefiore Medical Center in New York City. Dr Lane Krevitt also completed a Fellowship in Head and Neck Oncology and Endocrine Surgery (Thyroid and Parathyroid) at Montefiore Medical Center, under the direction of Carl Silver, M.D., pioneer in the field of Head & Neck Endocrine, Oncology, and Laryngeal Surgery. Dr Lane Krevitt is certified by the American Board of Otolaryngology-Head and Neck Surgery. He is a Fellow of the American Academy of Otolaryngolgy- Head and Neck Surgery. 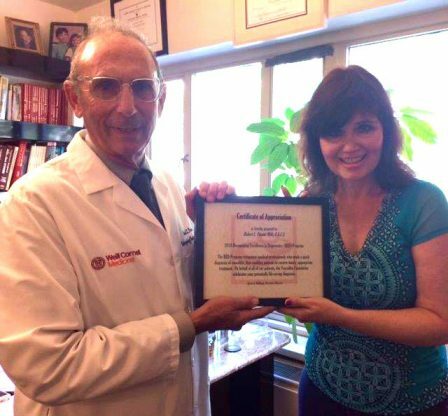 Dr. Krevitt is an Attending physician at Weill Cornell Medical College, Mount Sinai/Beth Israel Medical Center and Montefiore Medical Center. He has an academic appointment as Affiliate Assistant Professor at the Weill Cornell Medical College. 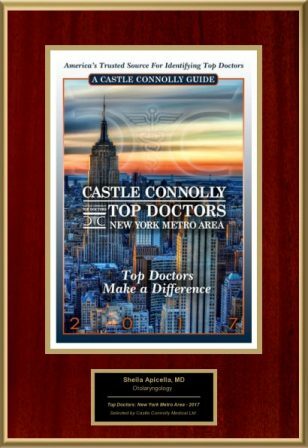 Castle Connelly Guide has recognized Dr. Krevitt as one of New York’s leading Otolaryngologists for many years. He has also consistently been included in Super Doctors, as seen in the New York Times Magazine. 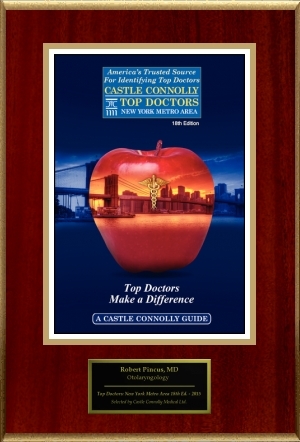 He was also included in the “Best Doctors” edition in New York Magazine in 2010 and 2013. 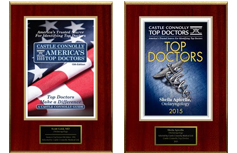 He has also been consistently been included in America’s Top Physicians and recipient of Patients Choice Award. Dr. Krevitt has published and presented at numerous meetings both regionally and nationally on a wide array of topics. In addition, he co-authored the chapter, “Morpho-Physiology of the Thyroid and Parathyroid Glands,” in Science Review for Otolaryngology, published by Thieme. He is a member of the American Academy of Otolaryngology – Head & Neck Surgery, New York Head and Neck Society, American Thyroid Association, American Rhinologic Society. 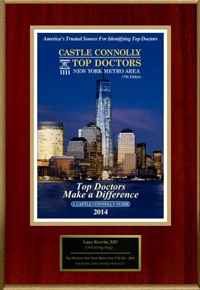 Dr. Krevitt has been named a New York Super Doctor for 2013. Featured on May 19, 2013 in The New York Times Magazine. Dr. Krevitt is a phenomenal doctor — the best thyroid cancer doctor in the country. And also an incredibly kind and caring person. When I was in need of cancer surgery specialist for thyroid cancer, I asked everyone I could who was the best, and I was repeatedly told to go to Dr. Krevitt. And I am so fortunate that they did. He saved my father’s life. He quickly diagnosed the issue, and the surgery was a perfect success. I whole-heartedly recommend Dr. Krevitt. Surgery is scray, especially throat cancer surgery. So, it was important to have the best doctor. My whole family is incredibly lucky to have found Dr. Krevitt. And, because we did, we also will be incredibly lucky to have our father around for many years to come. After going through all the specialists I was sent to in Ontario Canada I was told they couldn’t find the cause or fix my sinuses and I had to live with it and take pain killers. I contacted the office of Dr. Krevitt and found the entire staff very helpful and knowledgeable. They went out of their way to work with me for a resolution. Dr. Krevitt not only figured out the issue on the first appointment he did surgery and in a one hour surgery was able to fix everything our doctors had given up on. I had forgotten how amazing it felt to be able to breath and sleep an entire night. The quality of service was so amazingly professional and courteous that I am unable to put It into words. Thanks to everyone at your facility, you gave me a quality life back.